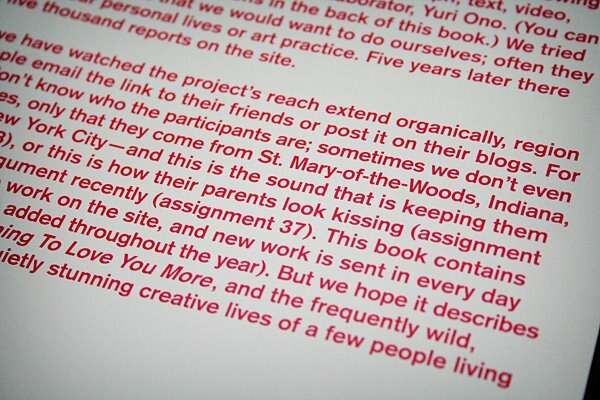 I have a picture in a book. 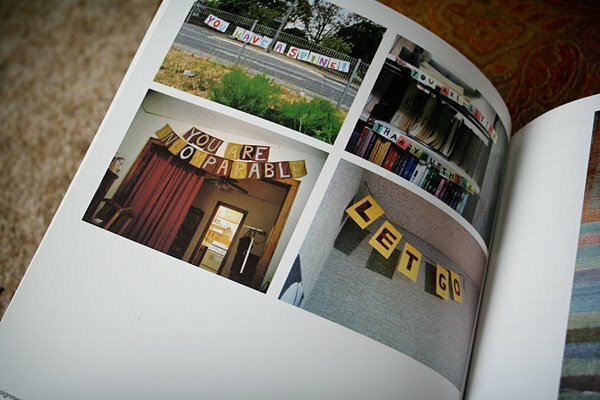 Two years ago I completed a Learning to Love You More assignment (#63: Create an Encouraging Banner) and made a banner out of copy paper, wrapping paper, yarn and tape that said, “Let go.” Later that year, the LTLYM folks, specifically Harrell Fletcher and Miranda July, decided to put out a book and asked if my photo could be one of the hundreds included. My banner, the bottom right photo. 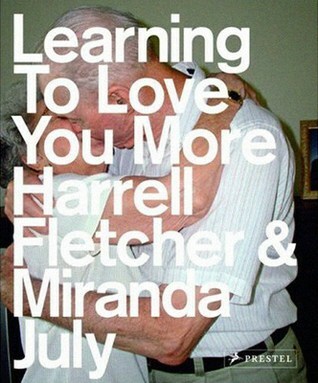 Learning to Love You More, by Harrell Fletcher and Miranda July. In a world where everyone tries so darn hard to be one step ahead, hipster but not too hipster, stylish but without looking like they tried too hard, I love flipping through people’s submissions and seeing actual individuality. There I am, right in the intro! Props to Mom for noticing. Why I bring this up now, in addition to telling you to go check out LTLYM right now, is that I just stumbled upon my banner on a random blog in Portuguese (I think) — ;: com urgência — where it apparently spoke to a person I don’t know halfway across the globe. How cool is that.